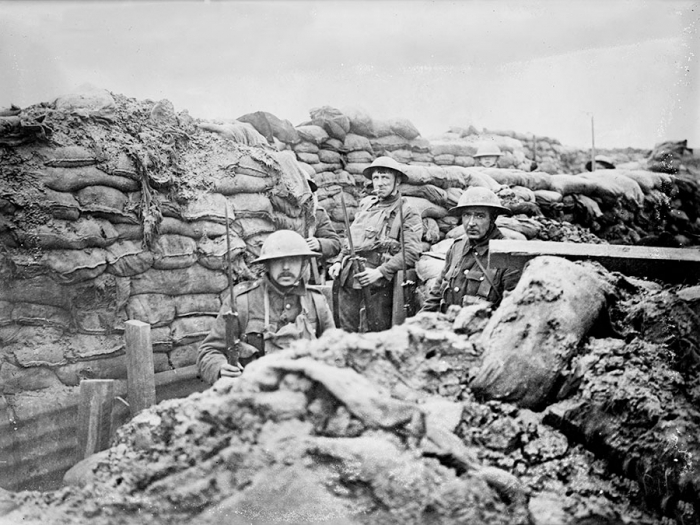 The phrase “trench warfare” immediately conjures images of the mud and slaughter of the Western Front during World War I. Millions died in fruitless offensives that saw men “go over the top” into withering machine gun fire. Ultimately, inventions such as tanksand airplanes allowed troops to move through or over No Man’s Land, and new technologies and doctrines would usher in the mobile warfare that characterized World War II in Europe. The German blitzkrieg flew over and drove around the Maginot Line, perhaps the most formidable static defensive barrier ever constructed, and that would seem to have spelled the end of trench warfare. For this reason, and because trench warfare is so closely associated with primitive black-and-white footage of men struggling to cross the pockmarked battlefields of Belgium and France, it is commonly assumed that this military strategy is a relic of a bygone age, as likely to reappear as catapults or cavalry charges. In fact, trench warfare remains arguably the most effective strategy for infantry where, for whatever reason, armor and air support are lacking. During the Iran-Iraq War(1980–88), after initial gains by the Iraqi army, the fighting settled into years of trench warfare. Iran even engaged in World War I–style human wave attacks; such offensives were as unsuccessful and bloody as they had been 70 years earlier. The Syrian Civil War (2011– ) recapitulated World War I in a different fashion, with Bashar al-Assad’s army assaulting opposition-held areas with chemical weapons. The lines in that war remained relatively static, with opposition groups using trench systems that exhibited varying degrees of permanence and sophistication, until Russian airpower dramatically shifted the balance in favor of the Syrian government. In eastern Ukraine, where a mixed force of Russian troops, mercenaries, and Russian-backed militants were engaging in a proxy war against the government in Kiev (2014– ), trench systems and hardened fortifications marked a front line some 250 miles long. Airpower was largely absent from the “contact line” in Ukraine, because of the presence of sophisticated Russian antiaircraft systems on the pro-Russian side (one such system was used in the downing of Malaysia Airlines flight 17) and Russia’s desire to maintain plausible deniability of its direct involvement in the conflict. Drones may have replaced carrier pigeons in the skies above the battlefield, but the use of trenches has changed little since Verdun and the Somme.